A&C company is a company started in Shanghai, China ten years ago, specialized fashion sports shoes for people aged 18-30s. It has become one of the most popular brand in its field. It has achieved continuously growth in three years. It opened the fifthly store in Shanghai and Beijing this spring. 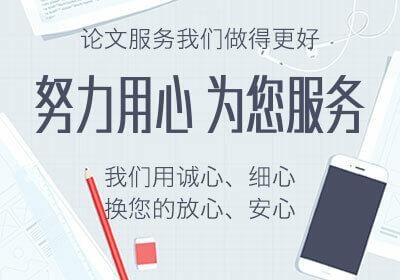 It is planning to expand its business to other major cities in Mainland China, such as Guangzhou, Shenzhen, Chengdu, etc. in the next year. Then Hong Kong, Taiwan, etc. As the expansion plans of sales to four times, it expected to triple its revenue. A&C is planning to adopting multi-channel to realize the expansion. 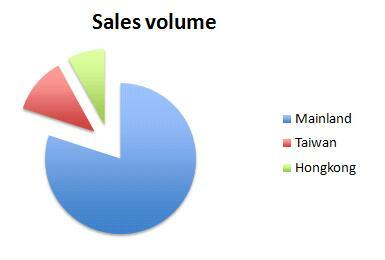 Sales volume: the total quarterly in last three years is 23.18 billion RMB. Revenue: the total in last three years is 436 million RMB. Sales volume: the total expected quarterly in last three years is 22.58 billion RMB and the total is 23.18 billion RMB, which is 2.66% more than expected. 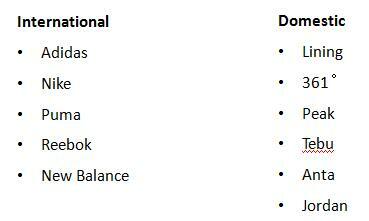 Revenue: the total expected is 433 million RMB, the actual total is 436 million RMB, 0.7% more than expected. In the last three years, the sales volume of sports shoes in China is continuously increased. Now, all the major competitors have multi-channel, including off-line stores and online stores. 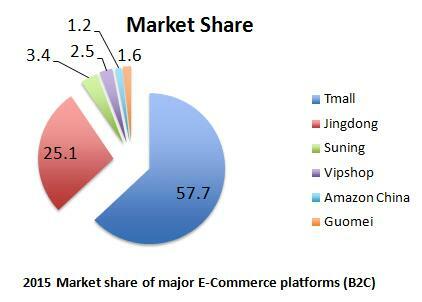 These online stores are covers all major online channels, including Tmall, Jingdong, Amazon, etc. 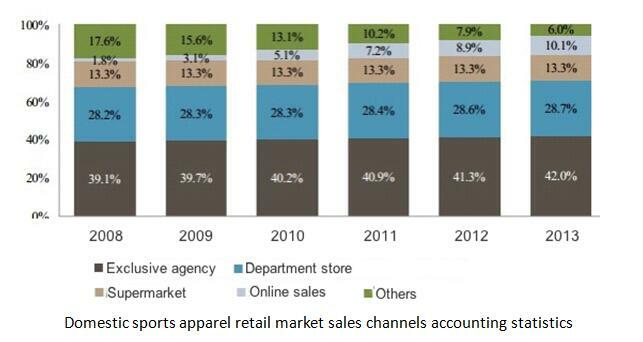 In the next three years, A&C’s major markets are targeting Mainland China, Taiwan, Hongkong. Among the three, Mainland China will still be the most important market, which is expected to contribute 80% of sales volume. 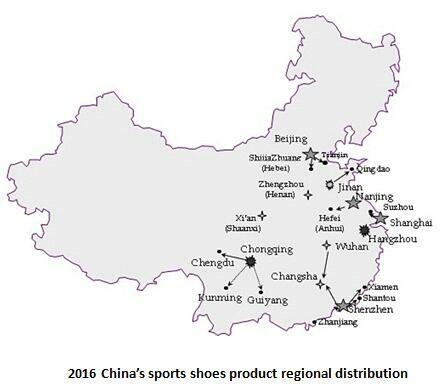 From the China’s sports shoes product regional distribution, it can be seen that the major markets of sports shoes are still in the rationally comparatively developed regions, including eastern and south eastern and other major economic centers. Therefore, the target markets of A&C will also focus on these area. According to Euromonitor statistics and forecasts, sports shoes and apparel sales through the proportion of large stores, and through the proportion of online sales will gradually increase. The first half of 2015, China's e-commerce transactions amounted to 7.63 trillion yuan, an increase of 30.4%. Among them, B2B transactions amounted to 5.8 trillion yuan, an increase of 28.8%. 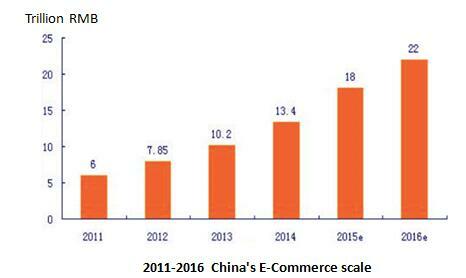 Network retail market transactions amounted to 1.61 trillion yuan, an increase of 48.7%. 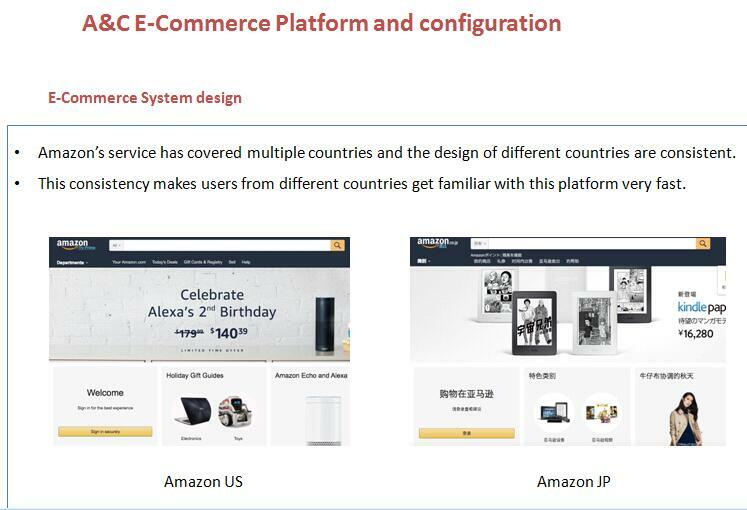 Therefore, A&C will pay more attention on E-Commerce in future. 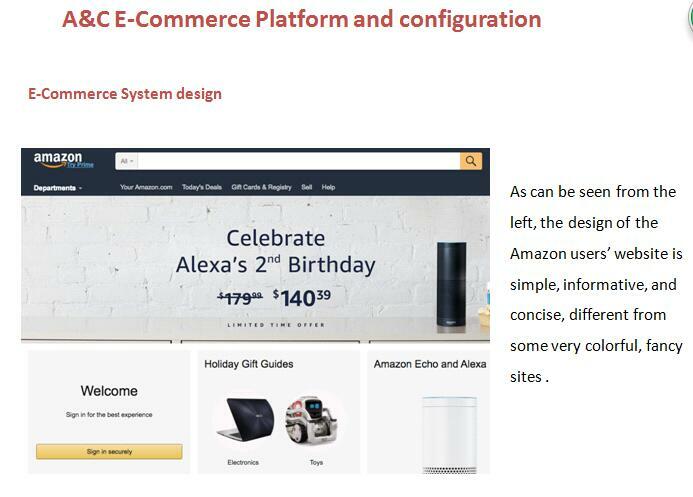 According to the 2015 market share of major E-Commerce platforms (B2C) and related prediction, A&C will strategically distribute effort accordingly. 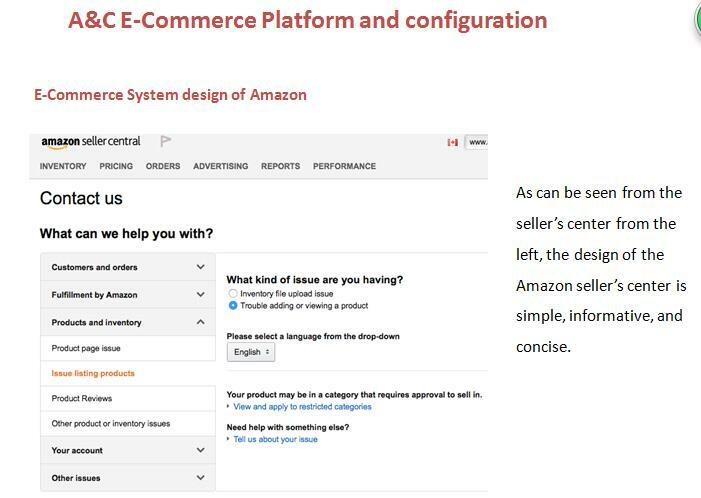 In the Amazon seller central, as a mature E-Commerce platform, it has all the sections that a seller needs. Each section has integrated all the detailed and analyzed data that a seller needs.